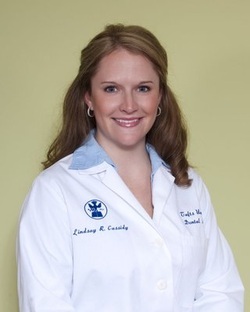 Dr. Lindsay Cassidy grew up locally in Attleboro, MA and graduated from Syracuse University in 2002. She went on to attend Tufts University School of Dental Medicine earning her Doctorate of Dental Medicine from 2002 to 2006. Since entering the world of dentistry, Dr. Cassidy has gained experience in several settings including public health, where she learned to speak fluent Spanish, and private practice where she intends to stay. She enjoys educating patients and helping families achieve optimum oral health. Dr. Cassidy resides in Portsmouth, RI with her husband and three children. ​Dr. 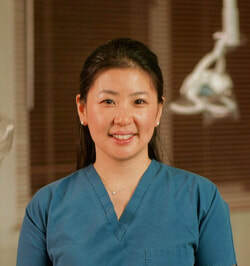 Gloria Hwang graduated from the University of Pennsylvania Dental School in 2009. Her general practice residency was at Interfaith Medical Center, Brooklyn, NY. She is an RIDA member. Dr. Hwang has also been active with the Rhode Island Mission of Mercy since 2011. Joining our practice in September 2016, Dr. Charlotte Bigg grew up outside of Washington D.C. in Great Falls, VA and graduated from the United States Naval Academy in 2004. She completed her commitment onboard the USS IWO JIMA (LHD 7), the USS ANZIO (CG 68), and at the Surface Warfare Officers School in Newport, RI. Upon completing her commitment (and then some), she applied to dental school. Dr. Bigg graduated from the Boston University Henry M. Goldman School of Dental Medicine earning her Doctorate of Dental Medicine. Dr. Bigg resides in North Kingstown, RI with her husband and two English Bull Terriers. ​Lorinda joined our practice in September, 2013. She received her Associates of Science degree in Dental Hygiene from Bristol Community College. She has spent the majority of her hygiene years in the periodontal and pediatric fields. Elliot received his dental hygiene training at Mount Ida College in Newton, MA. He is a registered dental hygienist and holds licenses in local anesthesia in both RI and MA. 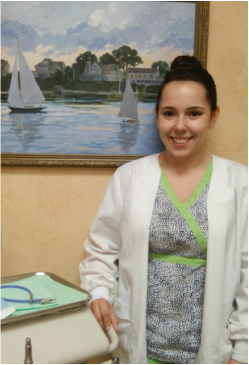 Previous to practicing as a dental hygienist, Elliot was a dental assistant for several years and received his training for dental assisting at Community College of Rhode Island. Elliot has experience working in a variety of dental settings. His gentle approach provides a comfortable experience for his patients. Outside of the office Elliot plays piano professionally and has a passion for animals. A native Rhode Islander, Elliot and his fiance, Myra, live in Tiverton, RI. Jessica has been with us since 2011. She is a graduate of Diman Regional Vocational Technical High School’s Dental Assisting Program. In June of 2017, she reached her goal of furthering her education by graduating as a dental hygienist. We are so proud of her! ​Pat joined our practice in 2017. 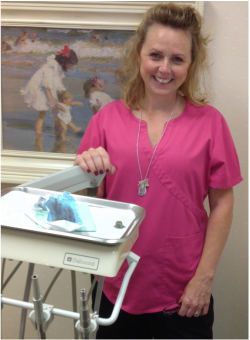 She has been in the dental field for 27 years and certified with the Dental Assisting National Board for 25 years. Interesting fact about Pat? She is also a certified funeral director! After temping for us over the course of a year, Christy joined our Friday staff in September 2018. A graduate of CCRI, she is both certified and licensed as a dental assistant. She is a wonderful addition to our staff. Betsey joined Stone Bridge Dental in November, 2014, after she retired from Sensata Technologies where she worked as a Specialist in Procurement. Prior work experience includes The Foxboro Company and ten years as a MA Real Estate broker. Betsey graduated from Colby College in 1969 with a BA degree in English Literature. Emily joined us in March, 2015. She is a graduate of Christian Liberty Academy (S.S.), and attended Fairwood Bible Institute in Dublin, NH, for two years. She is using her capable spirit and talents to help modernize our front desk and billing system.